Distribution: Baja Peninsula to northern peru and Galápagos Islands. 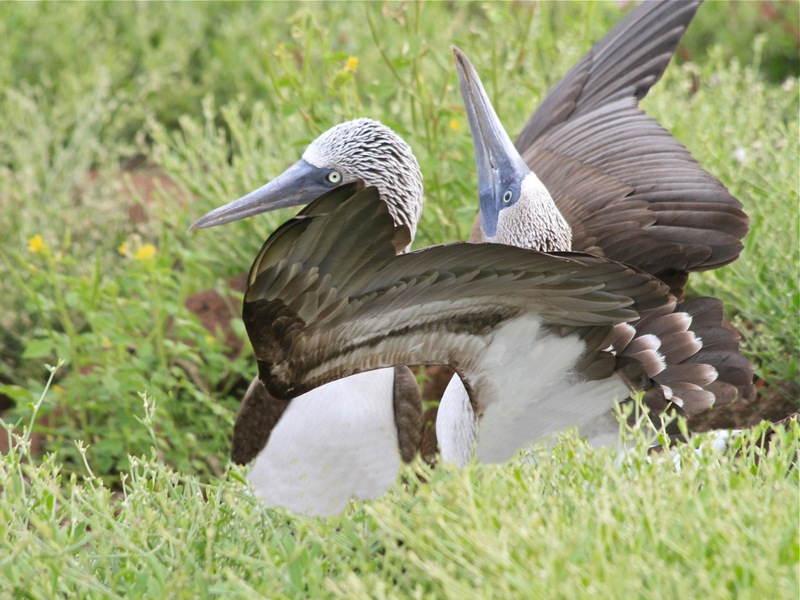 Habitat: The Blue-footed Booby is strictly a marine bird. Their only need for land is to breed, which they do along rocky coasts. Appearance: Average 81 centimetres (32 in) long and weighs 1.5 kilograms (3.3 lb), with the females slightly larger than the males. S. nebouxii has long pointed wings and a wedge shaped tail. 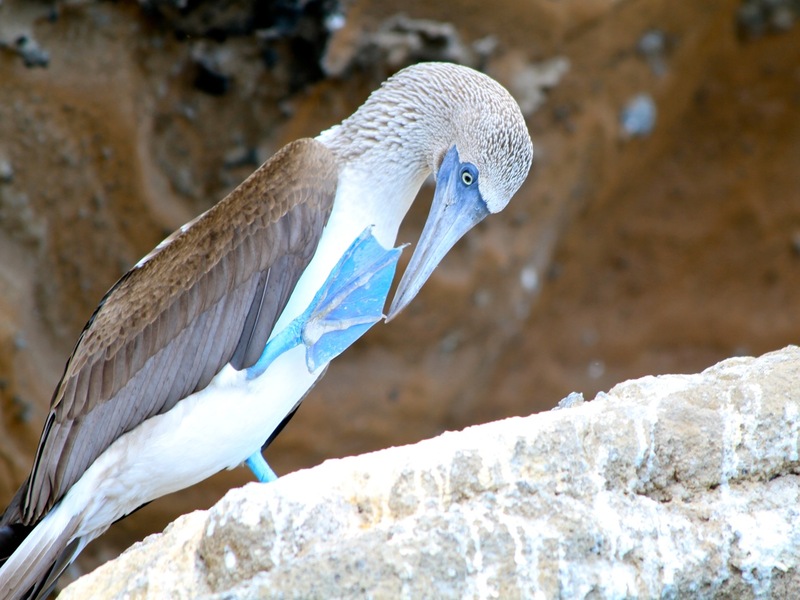 The booby’s yellow eyes are placed on either side of their bill and oriented towards the front with excellent binocular vision. The male has more yellow on its iris than the female. Their feet range from a pale turquoise to a deep aquamarine. Males and younger birds have lighter feet than females do. Remarks: When they spot a school of fish, they will all dive in unison. They point their bodies down like an arrow and dive into the water plunging from heights of 33–100 ft (10–30.5 m) and even up to 330 ft (100 m). They hit the water around 60 mph (97 km/h) and can go to depths of 82 ft usually eating while underwater.